Purchasing a pre-owned car is a great way to acquire the vehicle you that are looking for without taking a hit on some of the costs incurred on buying a brand new one. 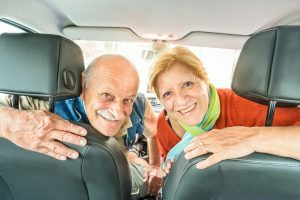 This article discusses the benefits of buying a used car and provides tips on how to acquire one. It also identifies common car loan scams that Canadians need to be aware of. You can score a really great deal on your next car for much lesser than you think. The average price gap between new and used vehicles is around $20,000. That is a significant difference that can impact what you pay upfront and over time for your new ride. Believe it or not, it is possible to find used cars that are only two to three years old, and have relatively low mileage. Some dealers even offer sales, incentives, or promotional offers on pre-owned cars. Shop around, and you can definitely find a great pre-owned car with the price, mileage, and features that you are looking for. New lose as much as 20% of their value as soon as they’re is driven off the dealer’s lot. They can depreciate by as much as 40% of their original value during the first year of ownership alone. Your $20,000 investment would only be worth $12,000 over a 12-month period, and its value will continue to depreciate overtime. Purchasing a used car eliminates the depreciation loss and protects you from acquiring negative equity. 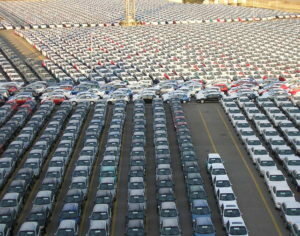 If you’re planning to purchase a used car, it would be safe for you to acquire one that is certified by a manufacture. Certified Pre-Owned vehicles are guaranteed by their respective manufacturers to be in excellent condition. They usually are late models, less than five years old, with relatively low mileage, and with no record of major damage. They undergo a thorough inspection process for exterior, interior, and mechanical issues. They usually come with an extended warranty package as well as incentives like special financing, lower interest rates, roadside assistance, maintenance packages. Certification Programs were initially offered by luxury car makers like Lexus, Mercedes-Benz, Audi, and BMW. They are now, however, offered by most major car manufacturing companies including Toyota, Ford, Nissan, Volkswagen, and Honda. Figuring out your budget for your car purchase is a perfect starting point. 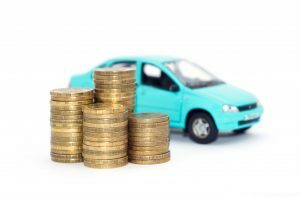 The rule of thumb is to factor a certain percentage of your income towards your car payments. Do your homework and also look into your credit history. Research the cars that are within your price range and that also meet your needs. Take a look at your monthly income and your monthly expenses and see how your car payment fits in. Don’t forget to factor in taxes and fees, insurance payments, repairs, maintenance, and gas. The rule of the thumb for a frugal car purchase is to allocate roughly 10–15 percent of your income. A good compromise to afford a newer car with lower mileage is to allocate 20–25 percent of your income. If you make $30,000, you can comfortably afford to finance $6,000 at the 20% rule. This obviously doesn’t account for money that you put down or value for a trade-in. You can adjust how much you finance for a car depending on your household finances, interests, or if you experience an increase in salary. Reviewing your credit history and knowing your credit score will help you calculate the appropriate interest rate that you can expect to pay on your car loan. You can check your credit report and score online by visiting Equifax or Transunion. If you have good credit, then you’re likely to qualify for low-interest rates or special promotional offers from lenders. 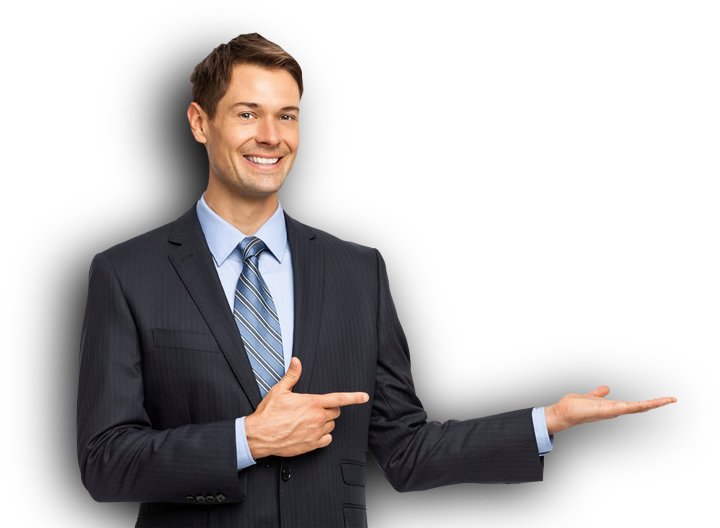 If you don’t, you can approach companies that specialize in bad and no credit car financing like New Car Canada. Apply for FREE and get approved in less than 24 hours. You can easily cancel any time if you think that their offers aren’t right for you. Click the Apply Button NOW. Are you looking for a car, truck, SUV or van? You may already have a vehicle in mind that best fits your lifestyle, but if you aren’t sure yet, take time to evaluate your priorities. A good point to take into consideration is the main purpose that the vehicle will be used for. Will you be driving to and from work and for errands around town? Will you be commuting far distances? Will you be hauling passengers or cargo? Next, make a list of your top three priorities that you would like in your car (i.e., well-priced, low-mileage, good gas mileage, high safety rating, built-in navigation and bluetooth, and seats a certain number of passengers). For drivers who are commuting regularly, the gas mileage performance of a car might be a major selling point. Those who are more concerned with the look and feel of a car and its special features might be more inclined to shop luxury brands that offer state-of-the-art fully-equipped cars and SUVs. Narrow your focus into a short list of several auto brands that offer you the reliability and features that you are looking for. Look for trustworthy reviews and information about the cars on your list. Although prices vary from one region to another, your research will give you a good idea of how much the particular car that you are looking for might cost. Calculating your possible monthly car payments can help give you a more realistic idea of whether you need to modify your list or refine your budget. Financing a used car doesn’t have to be tricky or intimidating. You will finance a used car the same way that you would finance a new car. In some cases, the price of a used car is significantly less that the price of a brand new car, so you can expect to finance a loan for a lower amount. Get a quote for the vehicle you want with no obligation to buy. Bad credit is is fine, there are loan options to meet your financing needs. Fill out the application, see available cars and click to get approved. You only need to meet three criteria for approval and YOU can finance the car that you want up to $50,000 in Your State. Car loan scams trap many unsuspecting buyers into higher fees and unexpected debt. Global News reports that one in five Canadians who use the Internet to buy or sell a used car have encountered at least one instance of fraud. Don’t risk falling victim to one of the common fraudulent scams that can cost you time and money. A common scam is called curbsiding, an illegal practice in which scam artists pose as private sellers to bypass provincial regulations and taxes, or to sell cars with concealed damage. These fraudulent car dealers operate and sell multiple vehicles without a license, under the guise of selling a privately owned car. The condition of the cars that are sold from curbsiders is often misrepresented and many are previous write-offs with undisclosed accident-damage repairs or are odometer-tampered. Unfortunately, consumers who purchase from curbsiders are not protected by consumer protection laws because the curbsiders are represented as private sellers. To avoid falling victim to a scam it is advisable to purchase your car from a reputable dealer. Always check into a dealer’s background and reputation prior to shopping for cars off their lot. All dealers in Canada are governed by a provincial body that issues dealer licenses to legally sell vehicles. If the seller that you are purchasing from is not licensed through the province, do your research before you make your purchase. A lien is collateral or security against a loan in the form of an ownership interest that the vehicle’s owner is responsible for. If a car has an outstanding lien, you could become liable for paying the lien. If you are considering a car, pull up a report on CarProof to tell you if there are enforceable liens from anywhere in Canada on the car. A CarProof report will contain lien information and also documentation from the Canadian Police Information Centre, from which you will also know if a vehicle is marked as actively stolen. Verify that the seller is the actual owner. To do so, match your dealer’s name and address to the information provided on the vehicle registration form. Also match the vehicle’s vehicle identification number (VIN), year, make, model and license plate to the information printed on the registration form. The VIN can be found on the sticker in the inner windshield of the car, and provides registered details about the car’s year, make, model, accident history and more. Be sure that you are looking at the authentic vehicle registration documents and not a photocopy. If you have the opportunity, physically inspect the condition of the car. Give both the inside and the outside a thorough review to ensure that the quality is on par with the description that the seller has given you. Important points to look at in a car is wear and tear on the seats, steering wheel, brake pedal, consoles and overall. Does the wear on the interior or exterior match the normal wear that a car of that age should have? Also check the odometer, which can be tampered with to artificially roll the numbers back to make the car appear to have lower mileage. Ways to tell if an odometer has been tampered with is to see if the numbers align properly, or if the glass appears to have cracks or scratches. Be weary if the car mileage doesn’t match what a car of its year might have, the average car is driven roughly 20,000 kilometers each year. And don’t forget to test drive! Take time and don’t rush. Be very sensitive to how the car drives and listen closely for any telling noises that the car makes. A pre-purchase inspection can save you from surprises after you drive off the lot. Hire a licensed mechanic to thoroughly inspect the vehicle prior to purchase. The mechanic can easily spot any issues that the car has, plus can give you insight into anticipated repairs or parts that may need replacement later down the line. A big and unfortunate way that scammers rip off unsuspecting buyers is by having the seller agree to pay upfront for the car prior to receiving the car. If you must put down a small deposit, do so only after you have verified the seller, and don’t hand over the full amount until you have the car in hand. Be cautious of the use of third-party escrow services, as many of these sites are fraudulent. Purchasing from a reputable dealership or auto trading site is an easy way to screen for potential scams, but also be on the lookout for deals that seem too good to be true in particular when purchasing a luxury vehicle. In 2013, several Canadians fell victim to a luxury car scam that cost them $200,000 in unrecovered funds. While purchasing a car out of the country may seem like a great buy, be wary of vehicles that you have not had the chance to test drive, physical location or cars that do not come from a reputable seller. It’s best to do your research before you invest time in applying for an auto loan. If it sounds too good to be true, it may just be. Look out for loan markup which is when lenders offer buyers auto loans, not at the best rate that they qualify for, but at a higher rate that makes them the most money. What you end up with is an interest rate that can be much higher than the lowest rate that you actually qualify for, that compounds over time. Also beware of packed payments, which are monthly car payments that have extra unnecessary products or services like extended warranties and GAP insurance rolled into the monthly cost. While you may not notice the cost upfront, the difference in price across the length of your loan term can cost you thousands of extra dollars. Altering the terms of the loan is another sneaky way that dealers squeeze more out of auto loans. After you’ve been told that you are approved to get the loan, the lender or car dealer will call to tell you that you actually were not approved for the loan, but then offer you another loan at a higher interest rate. Since the sale has been closed and most buyers are likely not to return the car, they agree on the new loan terms and settle for higher interest rates. Lying about bad credit score. As unbelievable as it sounds, a lender could actually lie to you about your credit score to sell you a loan with higher interest and more rigid terms. While this is not an honest practice, nor common, it can happen. Taking an active stance to research your credit score and options can keep you protected from dishonest practices such as this. A few minutes of online research is all that you need to view your credit history and score. Click here to see car loans that you may qualify for. Once you’ve done your research, the used car buying process is a breeze. Find a reputable seller, do your homework and finally apply to finance your used car in Your State!